The Center for Biological Diversity and Desert Survivors filed suit Wednesday in federal court against two government agencies over the relocation of hundreds of desert tortoises and transfer of land-management authority from the Army to the Bureau of Land Management without required environmental review. Environmental officials in Mexico say dozens of dead sea turtles apparently killed in fishing nets have washed up on beaches in recent days. Authorities say 59 Olive Ridley turtles have been found on beaches in and around the resort of Acapulco. Environmental protection officer Manuel de Jesus Solis says his agency found 12 dead turtles bearing marks apparently caused by fishing nets. It was unclear which fishing boats were involved. Victor Berdejo says another 47 dead turtles were found by personnel at a turtle-protection area he supervises. The sea turtles, once hunted in Mexico for their meat and eggs, were declared a protected species in 1990. Fishermen are required to include turtle escape devices in their nets. on Tuesday [22 Jul 2008]. alarm over their falling numbers in recent years in North America. tomatoes, bell peppers, and cucumbers. commercial bee colonies but typically absent in wild bumblebees. Otterstatter of the University of Toronto, one of the researchers. added in a telephone interview. bee populations in North America, he added. 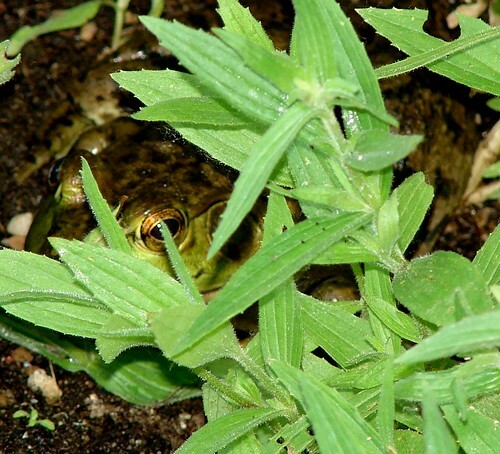 Today’s frog (July 18, 2008), originally uploaded by EcoSnake. "Princess", originally uploaded by EcoSnake. native of sub-Sahara Africa. 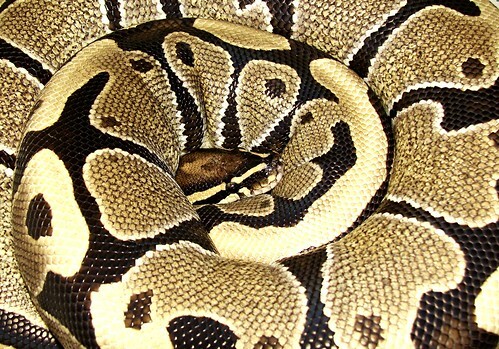 One of the most docile snakes in the world. When you were young, did you ever lie on your belly in a field, watching a bug crawling up a blade of grass? Did you stand perfectly still in a creek, hoping to catch a frog? Did a garter snake ever slither across your bare foot in the backyard, only to be caught in your curious hands?For many of us, our childhoods were filled with wonder at the world of nature, and free of prejudice against things that slither or crawl. But as we grew up, we frequently got the message that while puppies, kittens, and baby bunnies are adorable, cold-blooded critters are something else entirely. I know that happened to me. But all that changed eight years ago. I started doing some editorial work for kingsnake.com, the oldest and largest reptile and amphibian Web site in the world, and had my eyes opened to the beauty of snakes and the motivations of the people who keep them as pets. Many of the people I met never lost that childhood wonder at the natural world. They would devote endless hours to creating habitats for animals that evolved in environments ranging from the driest deserts to tropical rainforests, sometimes having to learn by trial and error what even the experts didn’t know about their snakes. They became obsessive observers of their animals, noting the slightest deviation in activity levels or appetites, their interest and their patience apparently endless. I also became aware of how much prejudice exists against snakes and the people who keep them. Snakes in our culture have often been relegated to roles as scary monsters in horror flicks and the “ewww gross” segment on nature shows. I wanted to challenge that view, so I asked some of the Bay Area users of kingsnake.com if they’d be willing to talk to me for a column. One of the first to volunteer was Rolf, who keeps a wide variety of pythons and boas and maintains a Web site about their care at serpentespacifica.com. While there’s a stereotype of snake owners as anti-social and a little strange, Rolf defies it. When he showed up at San Francisco’s Java Beach to meet with me, he was open, friendly, and happy to talk about his animals, even though he asked me to keep his last name and the city where he lives private. Rolf’s parents tolerated his obsession with snakes and even let him keep a captured garter snake in an aquarium for a while. When the snake failed to thrive in his care, however, the boy let it go. Today, he’s gotten a lot better at figuring out what his snakes need to be happy and healthy, but he’s no less passionate about them. Marin County’s Natalie McNear fits the snake-owner stereotype a bit more. In a phone interview, she described herself as a loner, happiest when by herself in the fields and forests. But simply by being a woman who loves snakes she challenges stereotypes, too. Her snakes are mostly small natives, including a California kingsnake and a sand boa that she collected herself in the hills around Marin. Her veterinarian examined the snake and said the symptoms were caused by irritation from smoke from the forest fires that broke out all over Northern California this summer. The snake has since fully recovered, but McNear detailed hours spent simply observing the animal. It’s in that last mention that we find the answer to the question of just why we might want to try a little harder not to judge snake lovers, nor discourage our children from an interest in them. Snakes are a vital part of ecosystems on land and in water. They are predator and prey, and have an ancient and still largely unexplored genetic heritage that far predates human history. Much of what we know about snakes and other small and elusive species comes from the hard work of field biologists like Kate Jackson, the author of “Mean and Lowly Things: Snakes, Science, and Survival in the Congo.” Jackson, just like Natalie McNear, was once a little girl lying on her belly in the grass, looking for snakes. Today, she’s a biology professor and one of the first herpetologists to slog through the swampy forests of the Northern Congo, studying and cataloguing the reptiles and amphibians she found there. In her book, a memoir of a year spent running afoul of local customs, language, government and weather in the service of science, Jackson recalls the day she first wondered just why herpetology mattered. “To a girl mad about reptiles,” she wrote, “a herpetology collection needed no more purpose to justify its existence than, say, an art gallery.” But why did a large institution like the Smithsonian, where she interned, spend so much time and money on its herpetological collection? That explanation isn’t simple, but it’s at the heart of the allure of snake keeping even for people who have never set foot in the jungle or a biology lab - people like Rolf, with his piece of the rainforest. Nature isn’t a simple system, nor is it a single system. It’s a universe of interlocking relationships, occupied by so many different species that we humans have described only around 1 percent of them. Remove too many species, or remove a keystone species, and the entire system might collapse, or suffer irreparable harm. How can we know which those species are, or where the critical mass might be reached, or how those collapsing systems might affect our species? Without the careful, obsessive study of the natural world, we can’t. Without encouraging herpetology-crazy little boys and girls who might grow up to be the next Kate Jackson, we never will. That’s because every year, pressured by pollution, development, and other social and political forces, thousands of species cross the threshold of extinction, many without ever having been identified or described at all. Unless we’re motivated by a passion to preserve and save them, how can we ever turn that process around, or even slow it? My purpose here is not to convince you to love snakes. I still don’t, and even Rolf and McNear say what they feel for their snakes is more respect and fascination than love. But I think Dioum is right, that we only save what we care about, and we only care about what we learn to understand. Every day, hundreds of parents, older sisters and babysitters respond with a shudder and “get that thing out of this house!” when a child shows up with a harmless garden snake in his or her hands. What if instead we taught ourselves to understand and respect people’s interest in snakes and those other “mean and lowly” creatures? Wouldn’t doing that not only help kids to retain, but us to reclaim, some of that sense of wonder at the natural world and the desire to preserve it for the future? Christie Keith is a contributing editor for Universal Press Syndicate’s Pet Connection and past director of the Pet Care Forum on America Online. She lives in San Francisco. An Idaho Falls man told city officials that his highly poisonous pet coral snake escaped from his Wabash Avenue home 3 weeks ago. If you see a bright yellow-, red- and black-ringed snake curled in some rocks, stay away. Then call Idaho Falls Animal Control or police. City officials are warning people about a coral snake that escaped from its owner’s house on the 600 block of Wabash Avenue about three weeks ago. It is no ordinary pet. The snake is one of the most venomous in the United States. And that’s why city officials are trying to educate people about the snake, which is native to Texas and whose bright colors tend to attract curious children. “Children aren’t used to poisonous snakes in the area except for rattlesnakes,” said Irene Brown, director of Idaho Falls Animal Control. Her department and Idaho Falls police were notified about the escape Wednesday by Eastern Idaho Regional Medical Center personnel. Since being notified, animal control personnel have been searching for the snake, mostly around the Wabash Avenue area. But Brown is not optimistic. Coral snakes are very reclusive and are not aggressive unless they are picked up, but they are drawn to secluded, dark areas such as wood piles, under rocks and thick vegetation, which makes them hard to find. “I talked to some experts from Reptile Gardens in South Dakota, and they said it’s like finding a needle in a haystack,” she said. Brown believes the 18-inch snake is probably outside, but that it won’t last long or will die with the first freeze. The snake, which she said the owner got in Texas, can go without food for several months but needs a readily available source of water. Owning a venomous snake within the city of Idaho Falls is a misdemeanor offense and is punishable by up to six months in jail and a $1,000 fine. Lt. Joe Cawley of the Idaho Falls Police Department said police are investigating, but so far, the owners haven’t been cited. “It’s hard to give a citation if we haven’t even seen the thing yet,” he said. Posted by Frank - July 3, 2008 - Thanks to John for the referral. ASOTIN - Frank Jeffreys is wearing protective guards over his injured eyes to help keep them closed. The 24-year-old Asotin man’s face was peppered with snake-shot pellets last week during a fishing outing on Joseph Creek, near the Oregon border. Jeffreys was hit after he fired a shot at a rattlesnake and dropped the gun. Jeffreys was flown to Harborview Medical Center in Seattle last Thursday after he was taken to St. Joseph’s Regional Medical Center. He was released Monday night, but there will be future surgeries to help repair the damage, he said. Surrounded by several family members, Jeffreys described the painful ordeal, saying it was a life-changing event. He said being hit in the eyes and face with a round of snake shot was excruciating. After calling 911, they started driving toward town and met the ambulance en route. Jeffreys said it was the second rattler he’d encountered on the fishing trip. He was carrying a .22-caliber pistol to ward them off. “The snakes are obviously pretty thick this year,” he said. He’s going to Spokane Tuesday for more treatment. He said he’s focusing on the future and his recovery instead of worrying about what he could have done or should have done differently last week. He lives with Taylor and their 3-month-old baby, Lainey. His mother and sister drove here from Fort Worth, Texas, following the accident, and a brother is coming home from Iraq after being granted emergency family leave. He has Medicaid, but the family is struggling with expenses, said Amanda’s mother, Tonia Taylor of Sweetwater. “This is a real tough situation,” she said. A bank account has been set up at Clearwater Credit Union in Tonia Taylor’s name, and a yard sale will be conducted Friday and Saturday at 734 Stewart Ave., in Lewiston to raise money for the family. In Montana’s Blackfoot Valley, a snake has a late, and very big lunch this week. Click the photo for a larger image. Allan, one of our favorite guys at Worden’s Market in Missoula, was fishing this week on Monture Creek near the Blackfoot River when he spotted this snake having a (big) bite to eat and snapped the photo.